EASTER OPEN WEEKEND - STAMP DUTY PAID! An attractive, half tile-hung semi-detached house with three bedrooms. 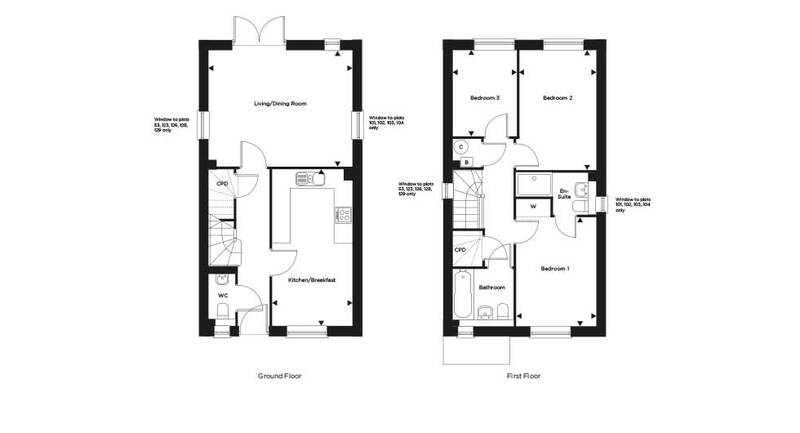 The ground floor features a kitchen/breakfast room at the front of the property, with larger living/dining room at the back with doors that open onto the garden. On the first floor, there is a master bedroom with en suite shower room and fitted wardrobe, two further bedrooms and a family bathroom. There is also a downstairs cloakroom and storage cupboard. W - Wardrobe. B - Boiler. CPD - Cupboard. C - Hot Water Cylinder. Layout to plots 53, 102, 104, 123, 129 as shown. 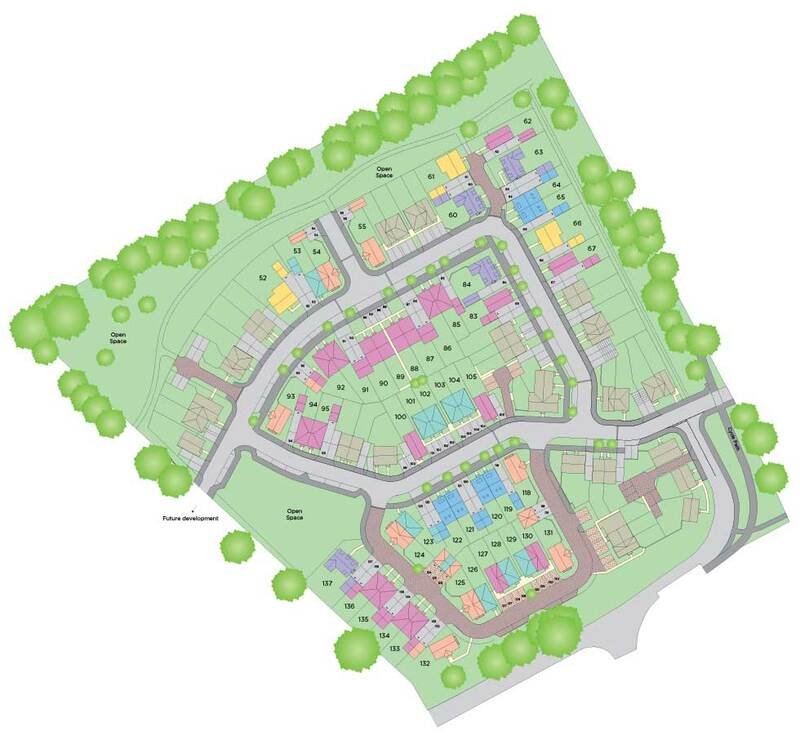 Plots 101, 103, 126, 128 handed. Note 1 - Window to plots 53, 123, 126, 128, 129 only. Note 2 - Window to plots 101, 102, 103, 104 only. Note 3 - Window to plots 53, 123, 126, 128, 129 only. Note 4 - Window to plots 101, 102, 103, 104 only. All floor plans in this brochure are for general guidance only. Measures are from plans and “as built” dimensions may vary. Any dimensions shown are not intended to be used for carpet sizes, appliances, spaces or items of furniture. These particulars do not constitute any part of an offer or contract with regard to the room dimensions. EASTER OPEN WEEKEND - STAMP DUTY PAID, PLUS FULLY INTEGRATED KITCHENS, FLOORING & TURF! 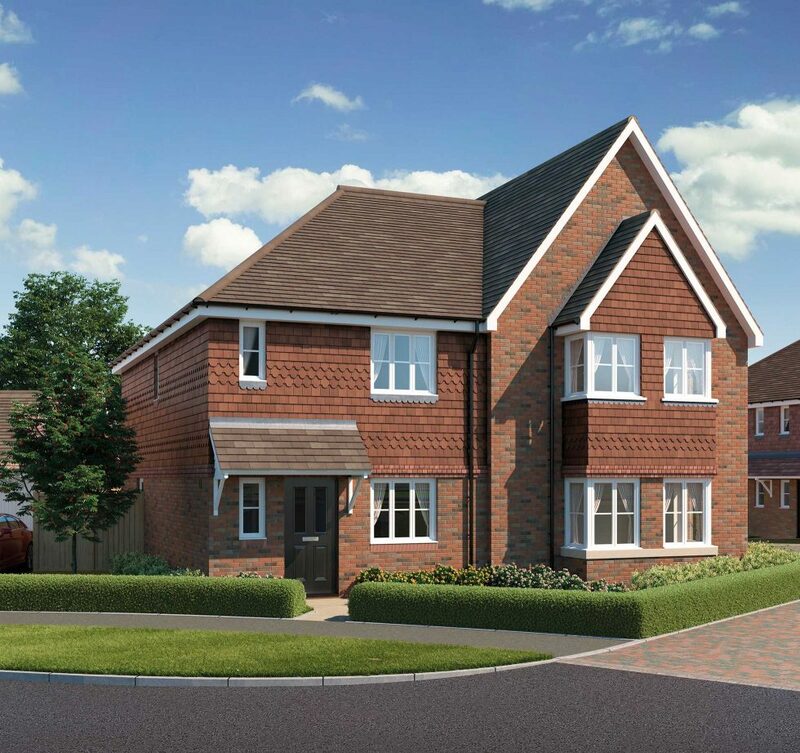 A brand new development of elegant 3, 4 and 5 bedroom homes with easy access to the market town of Alton, providing good education, health and leisure facilities and set within 12.5 hectares with pedestrian links to the wider countryside. Our Maple Fields Development is a Real Local Hotspot!